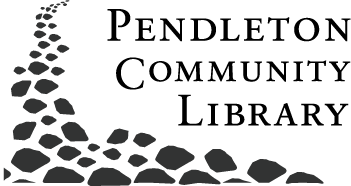 The Pendleton Community Public Library provides traditional library services, but also offers some unique non-traditional opportunities and services to our 26,000+ patrons. For the past 7 years we have partnered with the Pendleton Parks Department to develop and maintain the Pendleton Community Garden. The Community Garden consists of 15 plots, and separately, an herb garden that is open to the public. The 15 plots provide patrons with a space to grow their own organic produce, but at the same time, in lieu of a fee, they maintain public plots where we grow produce for our mobile library and food pantry, Read 'n' Feed. The trailer goes out once a week and serves an average of 40 families per week. This is a unique system for providing fuel for bodies as well as minds! In connection with the garden, we have entered into the 4th year of our Alpha Seed Library. The seed library is open to all patrons of the library, and currently has 40 registered members. Upon registration, patrons are given an Alpha Seed Library membership card which allows them to "check out" seeds. Seeds are planted by our seed library patrons, and if they are met with success, we ask that they harvest, save, and return, or "check in" seeds before the next season. We encourage Alpha Seed Library members to include notes about their harvest. Details about taste, appearance, and days until harvest are helpful for other Seed Library members.